Spanish Foreign Minister Alfonso Dastis in Moscow, Russia, June 7, 2017. LONDON - Spanish Foreign Minister Alfonso Dastis said on Sunday he hoped that people in Catalonia would disregard any instruction from the regional leadership if Spain moves to suspend the region’s autonomy. “All the government is trying to do, and reluctantly, is to reinstate the legal order, to restore the constitution but also the Catalan rules and proceed from there,” he told the BBC’s Andrew Marr Show. 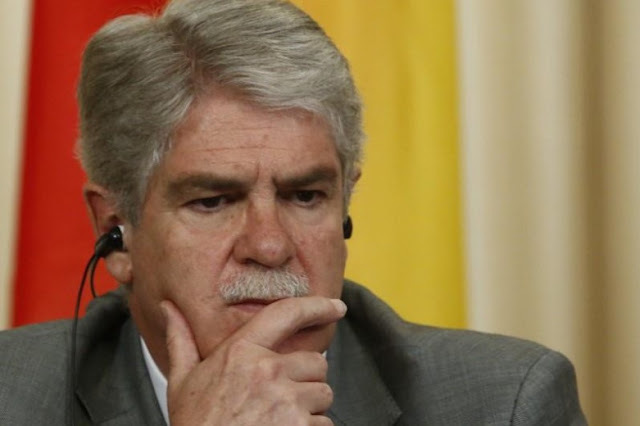 Spanish Foreign Minister Alfonso Dastis said on Sunday he hoped that people in Catalonia would disregard any instruction from the regional leadership if Spain moves to suspend the region’s autonomy. “All the government is trying to do, and reluctantly, is to reinstate the legal order, to restore the constitution but also the Catalan rules and proceed from there,” he told the BBC’s Andrew Marr Show.